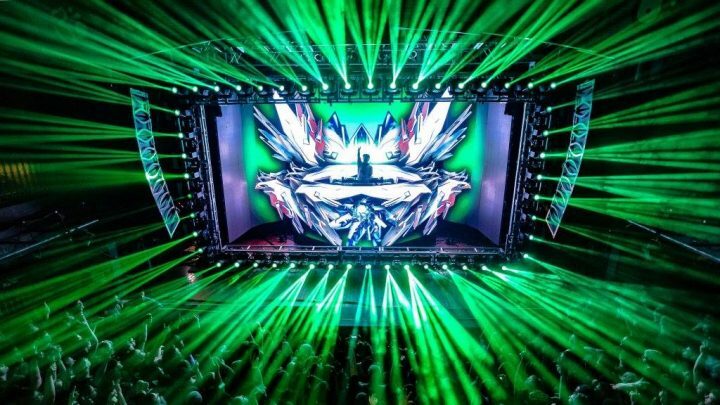 Excision has announced dates for his next North American tour set for early 2017. 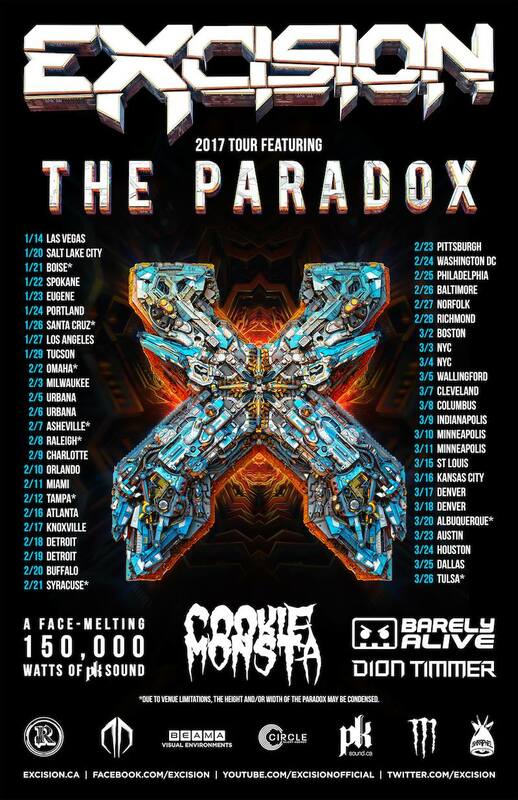 On the heels of the release of his latest album Virus, the Paradox tour will kick off in Las Vegas on Jan. 14 and cover much of the country before wrapping in Tulsa on March 26. The 50+ tour stops will feature support from Cookie Monsta, Barely Alive, and Dion Timmer, as well as 150,000 watts of bass provided by PK Sound. Pre-sale tickets are on sale now via excision.ca. Tickets go on sale to the public on Nov. 15. See the Electronic Midwest shows of interest and full tour schedule below. Thurs., Feb. 2 – Omaha, Neb. Fri., Feb. 3 – Milwaukee, Wis. Sun., Feb. 5 – Urbana, Ill. Mon., Feb. 6 – Urbana, Ill. Thurs., Feb. 16 – Atlanta, Ga.
Fri., Feb. 17 – Knoxville, Tenn. Sat., Feb. 18 – Detroit, Mich. Sun., Feb. 19 – Detroit, Mich. Thurs., March 9 – Indianapolis, Ind. Fri., March 10 – Minneapolis, Minn. Sat., March 11 – Minneapolis, Minn.
Wed., March 15 – St. Louis, Mo. Thurs., March 16 – Kansas City, Mo. Fri., March 17 – Denver, Colo. Sat., March 18 – Denver, Colo. Thurs., March 23 – Austin, Tex. Fri., March 24 – Houston, Tex. Sat., March 25 – Dallas, Tex. Sun., March 26 – Tulsa, Okla.
Photo Gallery: Life in Color (formerly Dayglow) – Knoxville, Tenn.